All about Baby Blimp. Download the trial version for free or purchase a key to unlock the game! Every parent has spent hours waiting for that pink or blue bundle to drop from the skies. 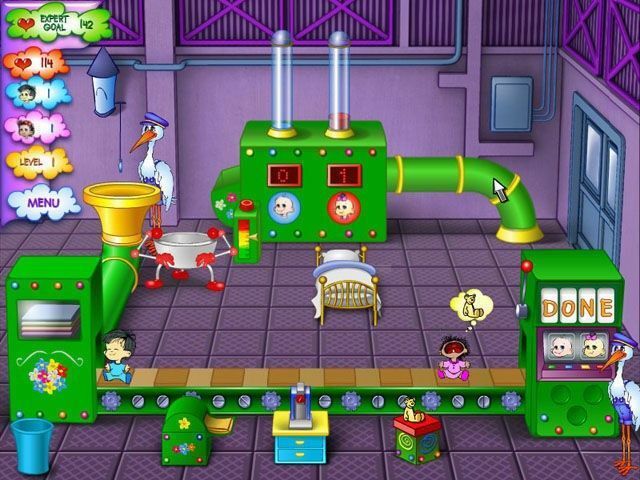 Now you can go behind the scenes to give the storks a hand prepping cute and cuddly babies for transport! You'll have to work fast to manufacture boys and girls as orders come in, then feed, entertain and clean the infants as they move down the conveyor belt toward the packing location. Once they're ready to go, you'll send them off with a final click of your mouse, wishing them well and moving on to the other children on the belt. 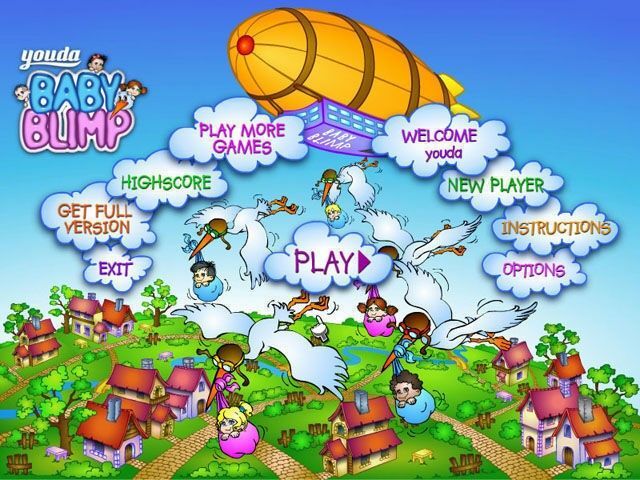 Whether you're a natural caregiver or just enjoy a thrilling time management challenge, you'll love Baby Blimp!